Jackie-Ohhhh: The day I ran a half marathon. & How I stopped being fat. 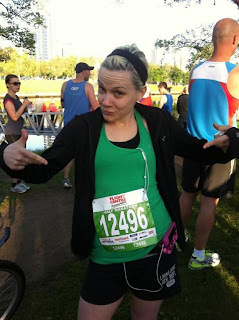 The day I ran a half marathon. & How I stopped being fat. About a month ago, I ran a half marathon. just before taking off for a 2 hour and 20 minute run. That’s 21.1kms. I ran it without stopping, without walking. Sure at times my run was slow - possibly slower than my power walking abilities, but I never stopped until I crossed that finish line. You see, this time last year, I was fat. I wasn't technically obese or even that huge in the scheme of things, but the amount of excess fat that I was carrying on my small frame meant I had high blood pressure, no energy, and very poor self esteem. You don’t need to look obese or unhealthy, to be fat. To be honest I don’t remember the exact moment that I decided enough was enough. It was more like a combination of things. My grandpa saying I had put on weight (even though he meant it as a compliment). Having to buy a size 12 pants. Being constantly exhausted. Looking fat in photos. I had had enough. This was me when I started actively trying to lose weight. So I started counting calories and working out for a minimum of an hour a day, 6 days a week. Yeah I hear you. “That's all well and good for you, I can’t do that, I'm too busy. I have a job/kids/blablabla.” One of the most successful weight loss champions I know has SIX kids. PRIMARY SCHOOL AGED KIDS! If you want to do it, you will do it. You will get up at 4:30 or 5:30 if you need to in order to get your workout in before work. You will pre-cook all your meals on a Sunday so that you don’t have to cook during the week and you aren't tempted by takeaways. You will do it. 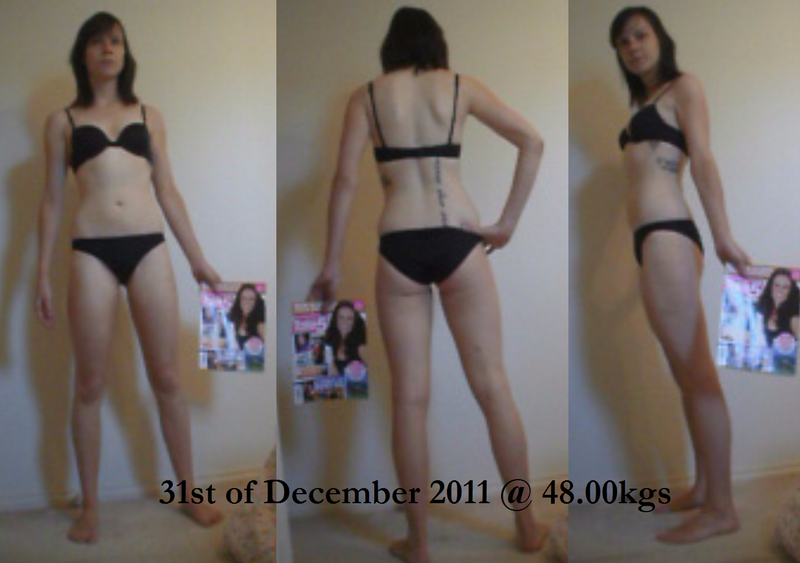 I used the Michelle Bridges 12 Week Body Transformation and in 1 round (3 months) lost 14kgs (30lbs) and went on to lose more. 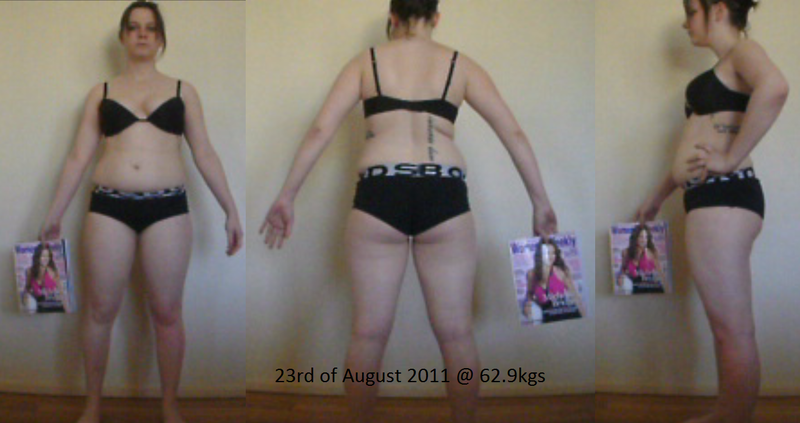 I don’t know exactly because I don’t know how heavy I was at my absolute highest weight, but I think I've lost in total 20kgs (45lbs). This was me when I finished. 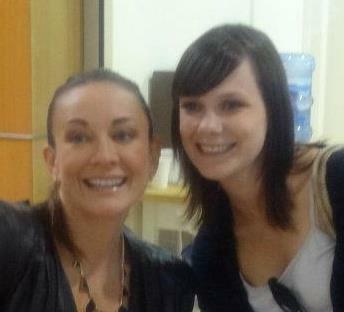 Needless to say, Michelle Bridges is my home-girl. Mish and I. Total girl-crush. I did 3 rounds with her but didn’t end up losing any more weight in my next 2 rounds (I didn’t need to). I made an amazing network of like-minded friends and became addicted to singing the praises of health and fitness to anyone who would listen. I also became a bit of a foodie and learned how to eat delicious, filling meals without breaking the calorie bank. I started running purely to reach that 500 calorie output mark every day. Running is the quickest way to burn calories. I couldn't even run for 1 minute without feeling like I would die when I started. I did the Couch to 5km Program and built up from there. Eventually I could run 5kms. Then I did the Run For The Kids in April of this year and ran the 14km course. Then I signed up for a half marathon. It was as quick and as simple as that. I decided to do it, and one year later, I was fit enough to run a half marathon. I’ve never been a runner, never been athletic, was always the one to be picked last in P.E. Very uncoordinated. I always said I would never be a runner, because I never believed I could be, until I was. Love, love, love your blog (Too many? A little creepy, yes? )- And for that I am passing along The Sunshine Award to you! If ya want it, come get the details! If ya don't, go throw another shrimp on the barbie! Once upon a time, this song SAVED my life.